I passed my National Certification Exam. 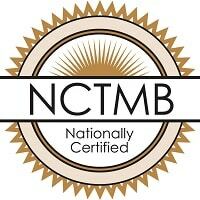 Meaning I am now Nationally Certified in Massage and Bodywork. Although this is not required in Pennsylvania yet, licensure will be passing and I wanted to get this done!! And I did!! This weekend was intense. 9hrs of Yoga Teacher training with Yogiswari Saturday and Sunday, Glenn’s Christmas Party and then I headed off to a hotel near the testing center reviewed…tried not to stress too much as I was told by the test giver that this is a test many people have been failing lately….Thankfully he told me this after I PASSED!